I want to play a game with you for a moment. 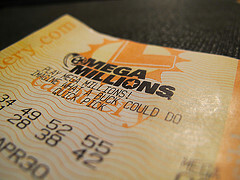 California’s Mega Millions lottery jackpot was recently over $350 million. I want you to imagine yourself sitting in your easy chair the night the numbers are announced. As the first couple of numbers are read, you realize that you have them. Your heart rate soars. Your pulse quickens and you begin to sweat. As the final numbers are read you are in total denial thinking, “there must be a mistake. This can’t be happening to me!” Then you triple check your numbers and run screaming to your family members to triple check them again. When it finally sinks in that you just won the lottery, you instantly start thinking about the stuff you’re going to buy, the bills you will pay, the people you might help, and how this money will change your life and solve every financial problem you have ever faced. Now on the count of three I want you to wake up! As wonderful as that fantasy sounds, it really is a fantasy even for the people who actually have won the lottery. 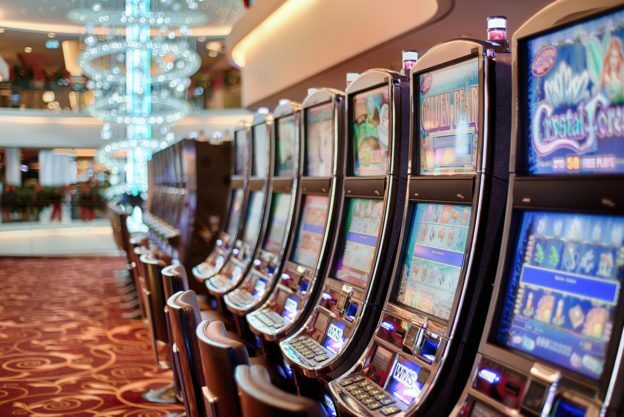 The fact is that over 70% of all lottery winners spend through all of the money within 5 years regardless of how big the jackpot is. Think about that one for a minute. You get a check for $350 million and although you had a 1 in 14,000,000 chance of winning, you have a 7 in 10 chance of blowing though the money within 5 years regardless of how much you get. It’s almost impossible to believe but it’s true. Why is that? Why do 70% of winners of the lottery or for that matter people who have large sums of money dumped in their laps including inheritances or large settlements from lawsuits, blow through what should last them for multiple lifetimes within 5 years? The answer is that we humans have a huge problem with delayed gratification. The solution is not about discipline or willpower because when it comes right down to it, we are who we are and all the willpower and discipline in the world can’t change our pre-historic, hard-wired programming. But there is a way out, which is perfect way for us to kick off Part 4 of a four part series on America’s great retirement crisis and the fact over 50% of people surveyed by AARP between the ages of 49 and 64 say they will NEVER be able to stop working. I would bet that many who fall into the other half are clueless as to what it will take to actually stop working and live off of their investments for life. Why postponing taxes through programs like 401(k)s and IRAs are not the best way to ensure the retirement lifestyle you want. How IRAs and 401(k)s came into existence as a result of Wall Street, a move that ultimately stole trillions from the old retirement industry (the safe one) and has created a crisis of epic proportions for baby boomers. What outside-the-box thinking is and why you can’t get out of the box by asking someone in the box for advice. Why you should NEVER fund your 401(k) above your employer match, EVER fund your IRA, and NEVER pay off your mortgage. As promised, I am going to share some first steps with you to get out of the box that you might be in (through no fault of your own) and share with you how you can create a guaranteed retirement strategy that bypasses the IRS and the bad parts of the stock market while protecting you and your family for generations to come. So first, I want to talk about the characteristics that your fantasy investment might have. If you are older than 40, I am going to bet that SAFETY of principle is important to you especially after 2000 and 2008. Knowing that you can never go backwards regardless of what happens to stocks or real estate or bonds is a real fantasy for most people. How about a good RETURN with something that over time keeps you ahead of cost of living increases and then some? OK, how about LIQUIDITY? If you can’t access your money when you really need it then it won’t do you much good in creating financial security. So far we have LIQUIDITY, SAFETY, RETURN. Although most would be happy with those three, is that really all we need? Think about this for a moment: if the government can tax you at any rate it chooses when you take money out of your fantasy investment, couldn’t that possibly crash your party? You could have LIQUIDITY, SAFETY, and RETURN but when the time comes that you need to live off the money you put away, if federal tax rates are just average for what they have been for last 100 years, they will be 68% higher than today for many people. Therefore, the last part of our fantasy investment would have to be 100% federal and state tax free withdrawals. Things like 401(k)s, IRAs, and other strategies save you NO TAXES at all but simply postpone them. You are rolling the dice on what tax rates will be down the road, which is a bet that I am not willing to take. I want you to stop and think for a moment about all of the different kinds of investments that you have today and ask yourself how they score on our 4 tests–LIQUIDITY, SAFETY, RETURN, and TAX-FREE (LSRT). Think about stocks, bonds, mutual funds, investment real estate, ownership in a private company, equity in your home or whatever, and on a score from 1-4 rate each of them based on how many of the 4 fantasy features they have. What you will quickly find is that none of them meet all 4 requirements and most of them will have trouble meeting more than one. In my many years as a retirement strategist I have only found one approach that passes all 4 of the LSRT tests but let me warn you upfront that this approach is sophisticated and has to be structured within very specific IRS guidelines to work correctly. It is not for everyone but for those who qualify, it is unlike anything out there. It’s also critical that you work with a professional who has intimate knowledge of the do’s and don’ts of this approach. It never ceases to amaze me how many financial professionals I have spoke to over the years about this approach (CPAs, CFPs, tax attorneys and financial advisors) who are completely unaware of it even though it has been around for decades and is bulletproof if structured correctly. Again, it may not be right for you but it might be worth exploring a bit. If you would like more details and want to delve a bit deeper into the specifics feel free to give me a call or send me an email. Until next time, keep thinking outside the box.